The Agahozo-Shalom Youth Village is a place that restores hope and opportunity to traumatized young lives. Tikkun Olam (literally, "repairing the world," and practically, "engaging in social action") is one of the core tenets of the ASYV. At the village, we decided to undertake Tikkun loam as a central project because of the strong contribution it offers to the youth of Agahozo-Shalom themselves, as well as to the surrounding communities. We believe in a well-rounded education for our youth that goes beyond simply doing well in school, but extends to being a good person who cares about others and knows how to give. In order to ensure the success of Agahozo-Shalom's tikkun olam program, we engaged in a 9-month long preparatory process to foster a deep understanding of the importance of tikkun olam among all staff of Agahozo-Shalom and all those living in the surrounding villages. Our strategy for tikkun olam at Agahozo-Shalom involves a four year process of gradually expanding the youth's “area of service." During their first year at Agahozo-Shalom, children focus on tikkun halev, or "repairing the heart." During this time they work on building their own sense of self, identity, and confidence. During the second year, students begin to do tikkun olam in the nearby village of Rubona, where they work with school children, in the local clinic, and help local residents with basic needs. 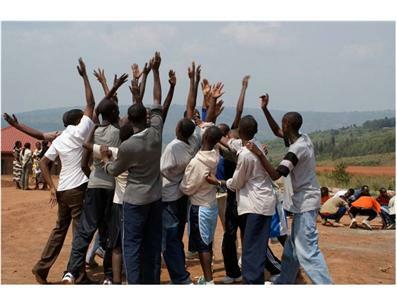 In their third year, students will begin to venture out to the larger area of the district, and finally, in their fourth year at Agahozo-Shalom, the youth will engage in tikkun olam throughout the country of Rwanda. To enable comprehensive management of the tikkun olam project, there is both a tikkun olam club (youth) who makes short-term decisions related to tikkun olam, and a tikkun olam committee (staff) who makes long-term, strategic decisions related to tikkun olam. Upon the recent start of the second year tikkun olam project in the nearby village, we have received a great deal of positive feedback. The youth have truly internalized the concept of tikkun olam, and are continually seeking to help their village neighbors in whatever way possible. Our neighbors were touched by the children's spirit and desire to share their talents and skills. For example, the nurse at the local clinic was moved to tears upon seeing how much the children wanted to help. In November of 2005, Agahozo-Shalom Founder Anne Heyman and her husband, Seth Merrin, heard a talk about the Rwandan genocide. At a dinner after the talk, Seth asked the speaker to identify the biggest problem facing Rwanda. The answer was the vast number of orphans with no systemic solution to the orphan problem. Immediately Anne, a South African-born lawyer and mother of three living in New York City, connected the challenge of the Rwandan orphan population to the similar challenge that Israel faced after the Second World War, when there had been a large influx of orphans from the Holocaust. To care for these traumatized youth, Israel had built residential living communities called youth villages. Anne was inspired to bring this model to Rwanda. Anne began reaching out to people in Israel, Rwanda, and the United States, to share her idea and learn how to realize her vision. After finding a model to emulate in the Yemin Orde Youth Village in Israel (April 2006) and determining that it was a model that would work extremely well in the Rwandan context (Summer 2006), Anne set about creating a formal structure for the project. In September of 2006 she met with officials at the American Jewish Joint Distribution Committee (JDC), an international humanitarian organization, which agreed to house and offer logistical support for the project. The Agahozo-Shalom is currently a special project of JDC’s non-sectarian international development program. December 2009	Second class of 125 students moved in to make the ASYV their new home. Total student population: 250. 10 long term volunteers arrive through the JDC Jewish Service Corps. December 2010	Third class of 125 students will move in to make the ASYV their new home. Total student population: 375. 11 new long term volunteers will arrive to spend one year serving at the village. "To enable orphaned and vulnerable youth to realize their maximum potential by providing them with a safe and secure living environment, health care, education and necessary life skills. 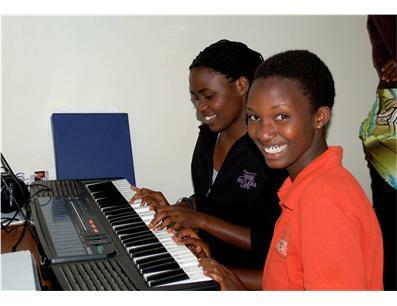 Education and service are used to model and create socially responsible citizens in Rwanda and around the world." Agahozo-Shalom graduates will not only be able to care for themselves and their families, but will form a cadre of individuals with a strong commitment to improving their community and the world, utilizing the tools that Agahozo-Shalom has given them to take action and contribute towards the future of a country recovering from complete devastation. Agahozo-Shalom brings not only new educational and pedagogic methodologies to Rwanda, but also a new philosophy with regards to the expectations, treatment and the role of orphans. Bringing expertise from around the world Agahozo-Shalom aims to be a leader and teacher in the areas of sustainable agriculture, environmentalism, information technology and agro-forestry. In addition to having a major impact on the development of the children and staff at Agahozo-Shalom as well as the country as a whole, this project will also make a profound impression on multiple other groups: the long term volunteers who share their expertise with the village, the participants in our short-term service-learning programs, the professionals who attend seminars there; the entrepreneurs who engage in the newly presented commercial opportunities; and all those who visit from far and wide. 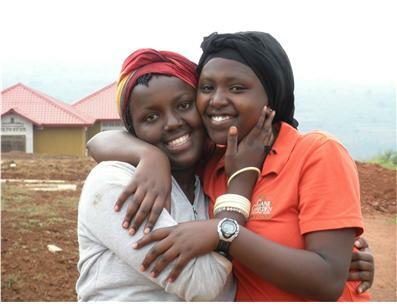 The concept of Tikkun Olam is particularly important in Rwanda, given the country’s history. But to have an impact on Rwandan society overall, we have to start with the individual. We have to teach the youth about sensitivity, love, and embracing, accepting and giving to each person for who he or she is. In educating our children about the importance of being kind, giving people, we are also building their potential to help their country in the future. We believe that if others will do the same, Rwanda will be blessed with strong leadership and a bright future. Already others are beginning to recognize the immense capacity for replication and profound impact that Agahozo-Shalom represents. The comprehensive and innovative response to the trauma of the orphan experience, whatever the cause, will serve as a model for the successful integration of orphans into civil society, wherever they may be. I chose helping this village for my Bar Mitzvah project for two reasons: because it brings together my Jewish and African backgrounds and because it is a way to really help in the world. The village is based on the villages created in Israel for children who lost their parents in the Holocaust. The village provides education, a home, a community and a family for these children. These children are not as fortunate as us to grow up with their families in good neighborhoods, so it's up to us not to take these things for granted and do whatever we can to help these children have better lives and futures. My experience at ASYV has changed both me and the way at look at life to an immeasurable degree and I would like to continue doing all I can to ensure the continuation of the village plans. In lieu of this, I would like to possibly follow through with a rather random fundraiser this summer. My grandparents own a larger farmer's market stand and in the past I have baked and sold breads. I was wondering if I am allowed to do the same this summer with the purpose of sending all profits to the village. My goal would be to raise a thousand dollars and in the meantime to greatly increase awareness about the village and Rwanda's past and present through cards/pamphlets that would be sent with each loaf sold and possibly a poster. I'm aware that this is a rather unorthodox and seemingly unrelated manner of fundraising, but it is something that I can do and would very much like to do. Please let me know your thoughts about all of this; I would sincerely appreciate it. I’d like to start by deeply thanking you for your contributions, which allowed for twenty-two Tufts students to have such an incredibly formative experience at ASYV. Although I am sure that you are well aware of the incredible outcomes that have resulted from your generosity towards the students at ASYV it may be less obvious how very thankful the Tufts brigade is of the unique and very special opportunity you allowed for us to have. I have been at Tufts for two years now and am an active member at Hillel, but partaking in such a meaningful trip has not only added to a greater sense of appreciation for Hillel, but also, strengthened me as a Jew and a person. The first moment I heard of the Youth Village I was confused as to why it was so connected to the JDC. Then I came to the understanding that the history of Rwanda mirrored what I had heard and learned about the Holocaust. As a Jew it was moving to relate to and understand a culture that has also experienced dehumanization, persecution and genocide yet has moved on with resilience. On behalf of our Tufts group, thank you so very much for your generosity. You allowed for us to learn, to grow, and to gain a first hand perspective so that we can serve as ambassadors for Rwanda, activists against genocide, and voices for the continuity of a moral world. 2. Volunteers can learns about the history of ASYV and Rwanda, and then teach about it in their local school, synagogue or community center, while drawing on connections between the Holocaust and the 1994 genocide in Rwanda. An educational event might also include showing a movie or having a book discussion about Rwanda. 3. Volunteers can run an event that will indirectly help fund the village or galvanize their community to sponsor one child for one year. Event ideas include having ASYV as a bar/bat mitzvah project, a carwash, a road race, a restaurant night, and many, many more. Most of the food that the students eat at ASYV comes directly from our own farm. Lauren and Catharine feel that change in the world is neccesarry. This program can help to fix it and repair the world!